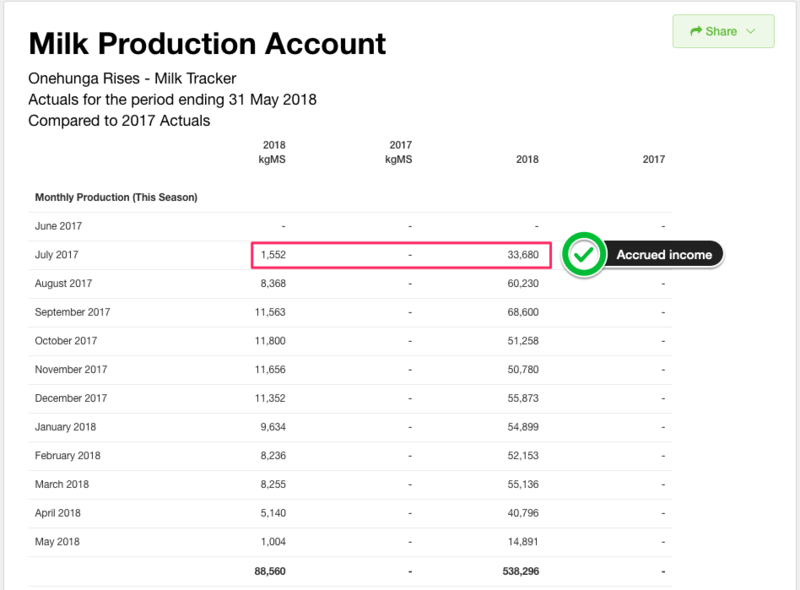 If you're running a milk trading statement and you've noticed your milk income is showing unaligned from your kgMS, then you'll need to journal your milk income back a month. 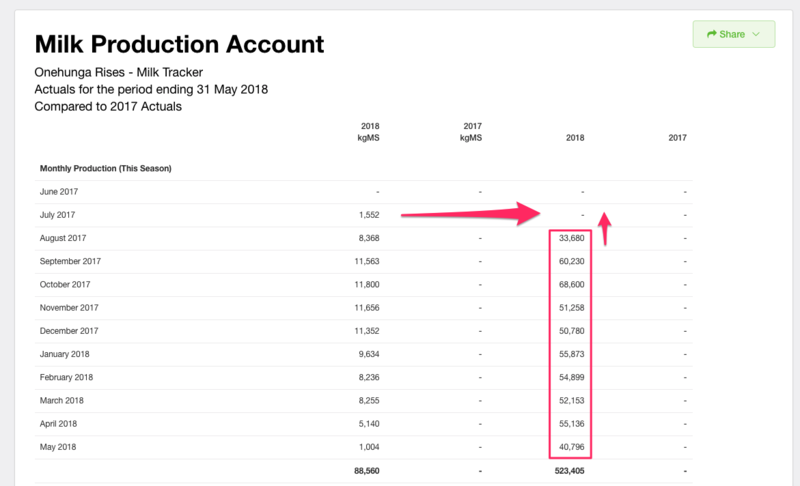 Using our account journals tool, which you can read more about here, you'll be able to raise manual journals directly from Figured to Xero which will "push" your milk income back one month to have the correct accrual date. Once you follow that process, your milk trading statement will look just right.